As a traveller, or let me accept – as a desperate traveller, I always look out for travel contests that keep coming up to see if my luck works. I’m sure all wanderlusts will agree that nothing can beat the feeling of winning a trip – especially when its says “FOR TWO”. One fine day, Ixigo.com, a travel website company based out of Gurgaon, had announced a FREE TRIP FOR TWO TO GOA. The minute I bumped into this headline, my brains started telling me zillions things to do. That excitement when you receive a mail from the company about winning a trip – to think about it still makes me dance like no one is watching 🙂 I actually thought that one of my friend was pulling a prank on me using my weakness to travel. 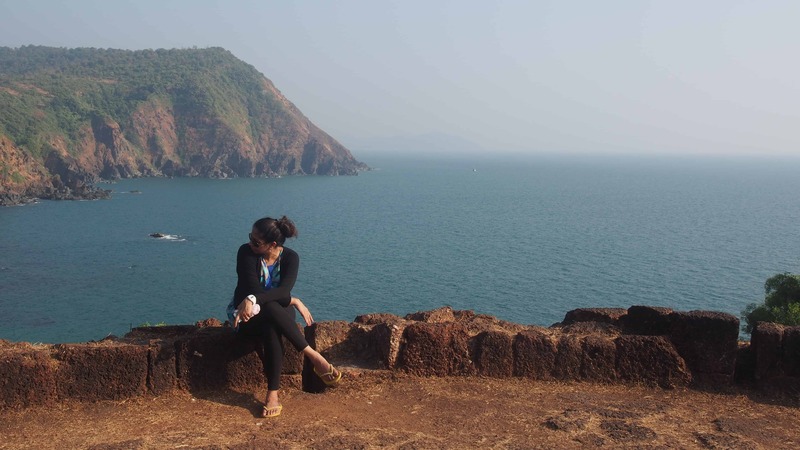 I had to read the mail a couple of times to realize that I am actually flying to Goa for free 🙂 Once all the formalities were over in terms of booking the tickets and hotel stay by Ixigo.com, my husband and I were all kicked to visit the South of Goa for the first time. The drive from the airport to the hotel was unlike travelling to North Goa. 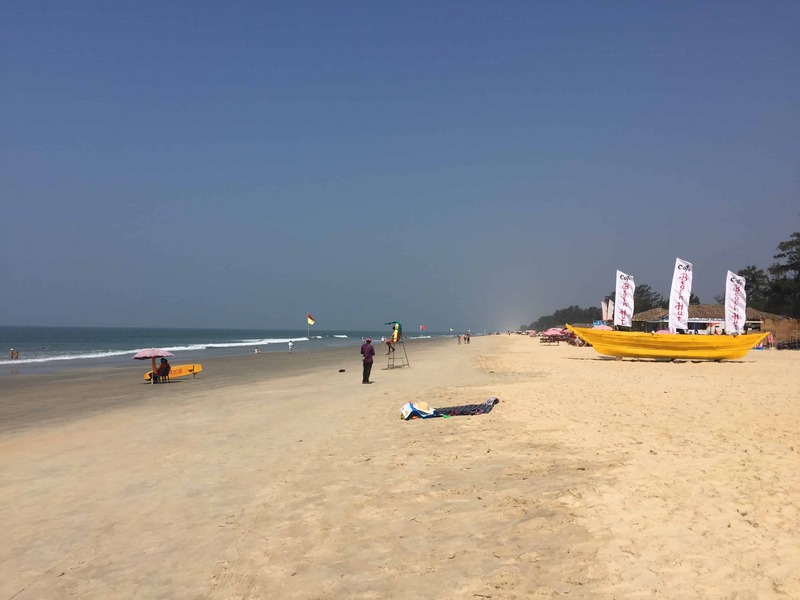 The western coast of India looks very similar – Kerala, Karnataka and the South Goa – green fields all around you with not many buildings and traffic. If you have been to North Goa, you will clearly experience a different rush when it comes to the beaches, people (meaning crowd) or food. We had two days (actually one and half) at our disposal and this is what we did. 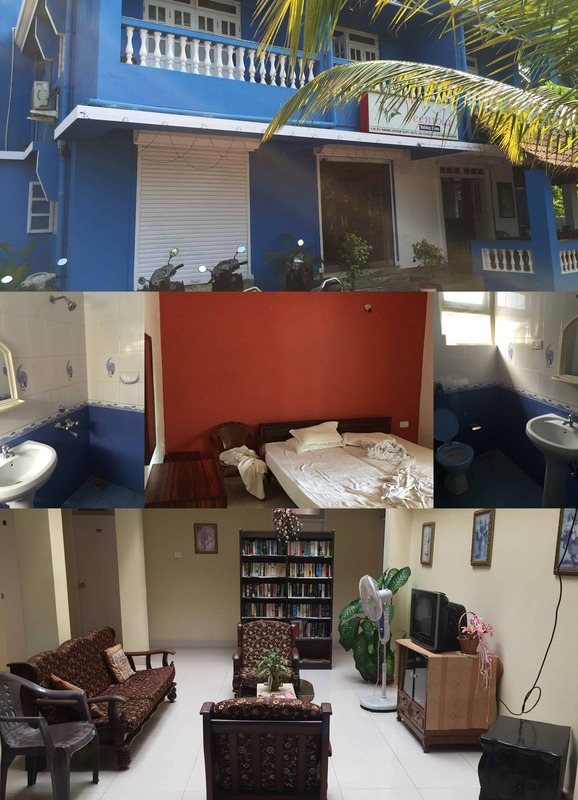 Place of Stay: Veeniola Home Stay – very budget friendly. Mode of transport: Two wheeler rented from the hotel. Places of Interest: Colva Beach, Benaulim Beach, Varca Beach, Cabo De Rama Fort, Palolem Beach, Cavelossim Beach and Betul Beach. 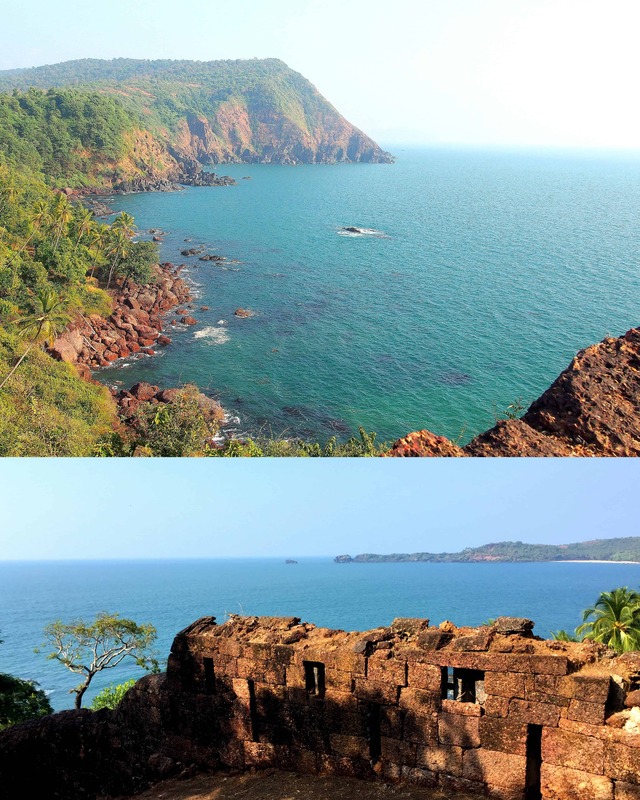 The most popular places of South Goa starts from Canacona and goes till Colva. You will find most of the luxurious resorts and hotel properties on this side of the city and also home stays that helps budget travellers stay here for more number of days to enjoy the calmness and serenity of the beaches. 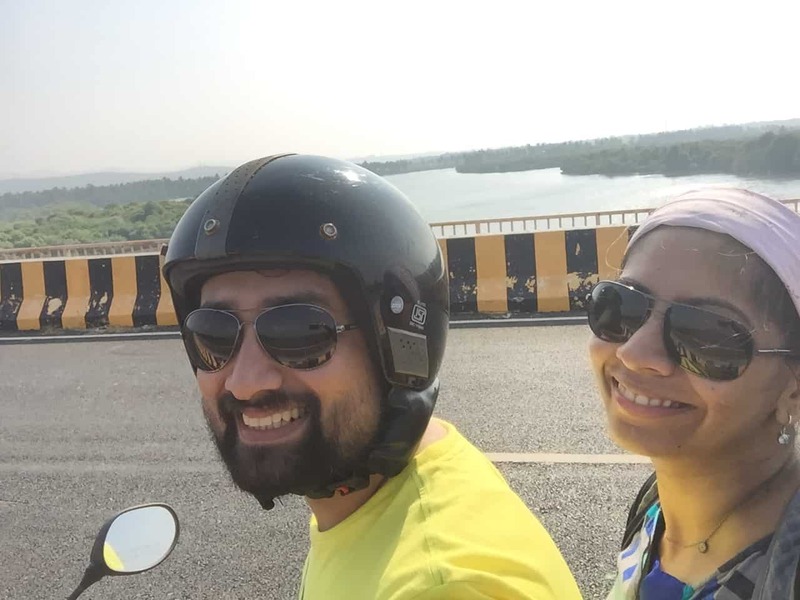 We skipped breakfast, took our Aviator two wheeler and started the ride going all the way to the Colva beach. 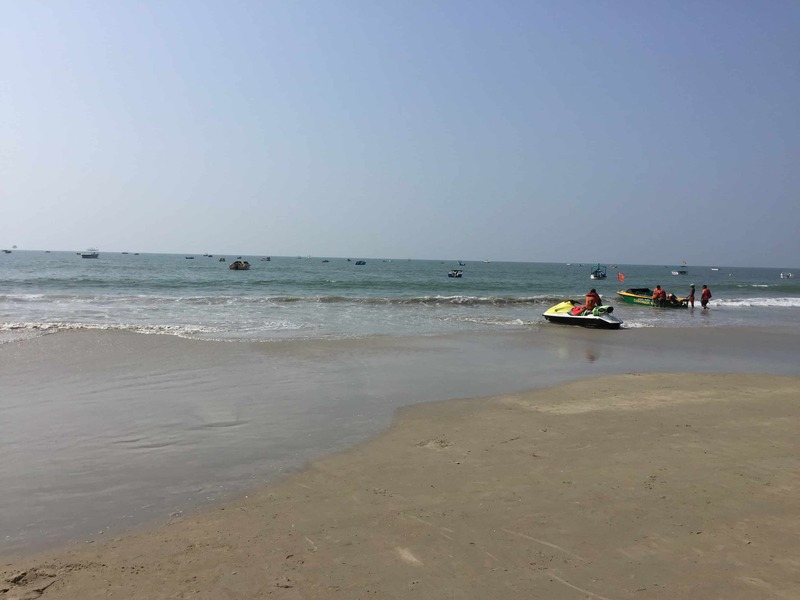 Pristine water, smooth golden sand and a beach to have fun with water sports is Colva in short. From here we decided to leave and have early lunch, spotted a Punjabi restaurant names Sai Punjabi Rasoi – Pure Veg in Colva. This is definitely a foodie’s paradise and gem of a restaurant in South Goa. The Paratas and Chaas (butter milk) were absolutely delicious and we were all the more kicked to go out there in the sun and have fun. 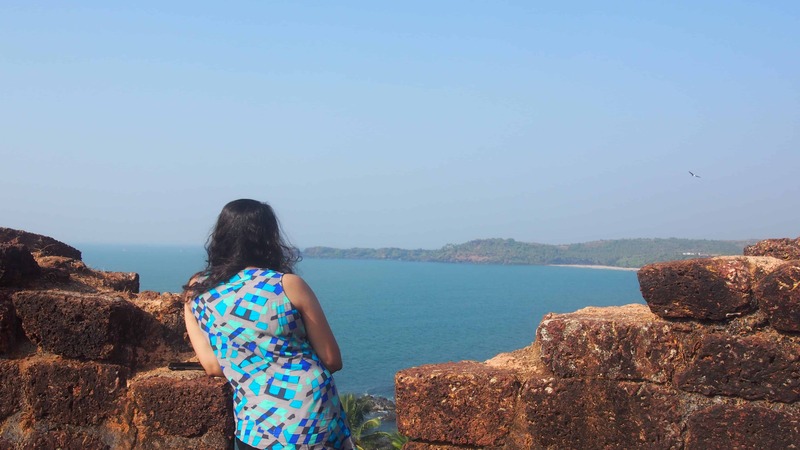 We hopped into two beaches along the way to Palolem – Sernabatim and Benaulim. Again quite, peaceful and pristine. We then headed straight to the Cabo de Rama fort on the Edapally-Panvel Highway, which was about 30 kms from Benaulim Beach. Once we reached the fort, I was completely overjoyed with what the fort had to offer. This view was amazing – clear blue waters shining under the sun, trees all around and a mountain to make it a perfect landscape. We left from here as we had decided to spend our evening and watch the sun go down at Palolem. 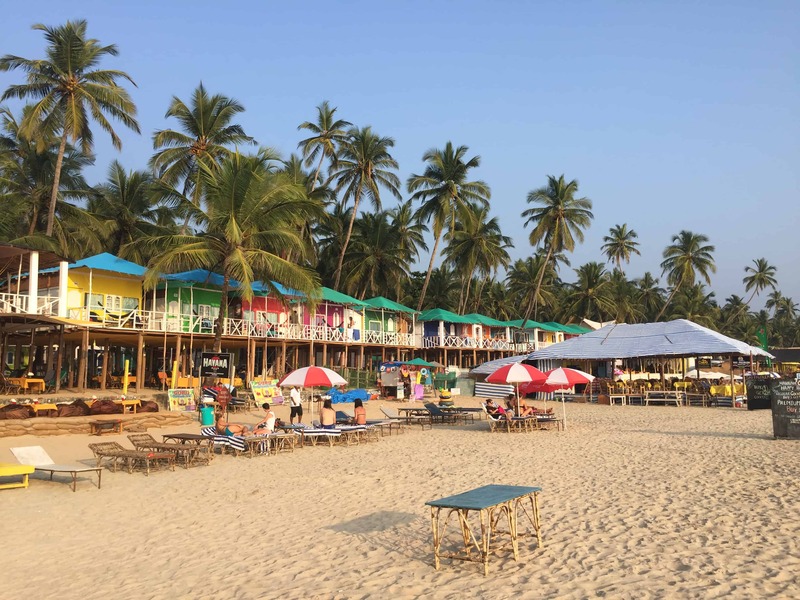 This has become one of my favorite beaches in Goa which has shacks, bars, shopping, massage and water sports. 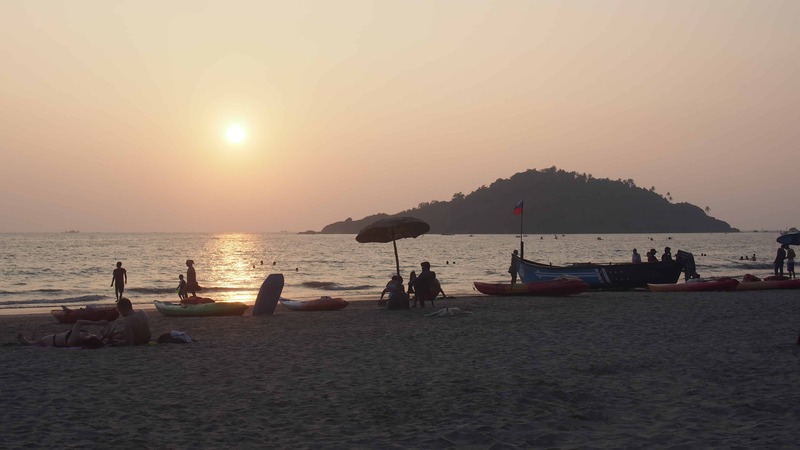 From Palolem, you can also take a short boat ride to visit the Butterfly Island. The local tells me that this has its name from the numerous butterflies that fly around and one can also catch a glimpse of Dolphins playing. We chose not to go to Butterfly island and instead, sat in one of the restaurants in Palolem beach, sipped on that beer and got lost in the sunset. It was time to explore the area that we were staying in, so after a yummy breakfast at our hotel, we went to the Cavelossim Beach. This has also become one of my go-to beaches in Goa. Less or no crowd, whitish sand, serene and transparent water to have a swim and relax. We did some shopping here and then headed to Betul beach in Morbor which is very close to the Leela Palace property. For lunch, we decided to go all the way back to Sai Punjabi Restaurant again to have those delicious Paratas and Chaas.